a day for reminiscence of the sappiest kind. 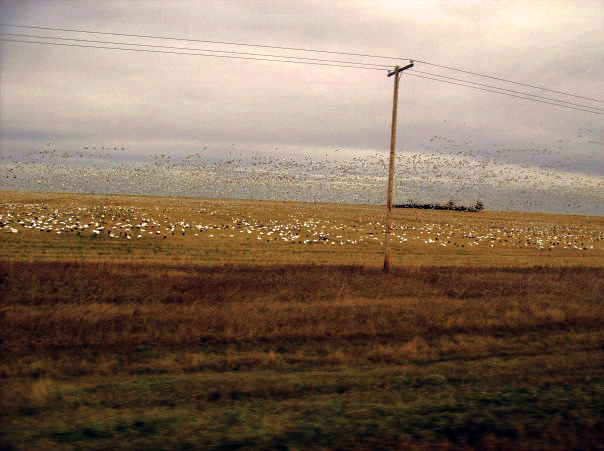 one time, barclay and i went on a road trip and there were a lot of birds. and i rolled down the windows and tried to capture the moment as well as i could. 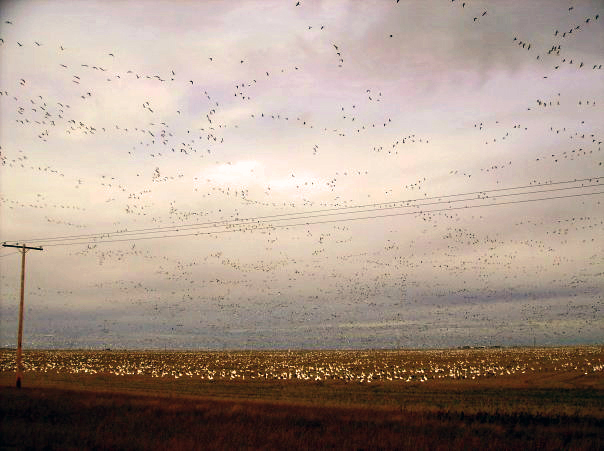 i need a real camera, obviously, because there was a point where the sky was almost black with birds and this makes it look like the sky was a just bit grainy with birds. i can't fully emphasize to you how many birds there were. THERE WERE SO MANY BIRDS. but the schmaltzy part is that this was the road trip of the weekend he met my parents for the first time and talked to my dad about maybe possibly dating his daughter. which, for the record, i did not know guys did anymore. the asking the dad part, that is. that was also the weekend we started dating, a wee bit more than three years ago. may i just say: wow. wow about the birds and wow about barclay and wow about time and how fast it goes.